The BP4000 and CU4000 represent a premium charging system for the transmitter of the WMS4500 wireless microphone system as well as for the body-pack receiver of the IVM4500 IEM in-ear monitoring system. 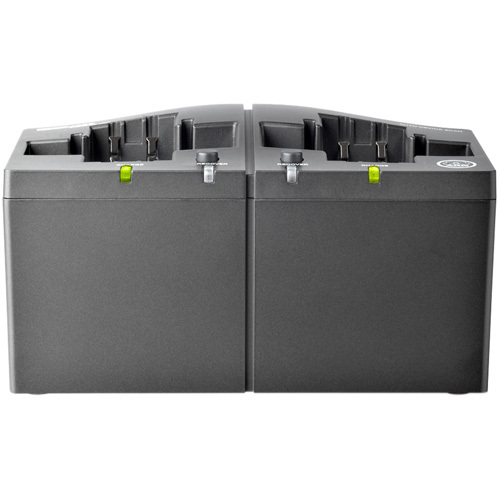 The CU4000 provides two charging compartments for simultaneous charge of two devices. An integrated microprocessor monitors battery status and calculates the remaining battery life. It informs the user about the time needed to return to maximum service capability. Integrated charging contacts allow the BP4000 battery-pack to be used separately or to remain inside the transmitter or receiver while charging on the CU4000. The BP4000 plus CU4000 system helps to reduce battery costs as well as environmental hazards from used batteries.